Featuring 89 UA-developed UAD Powered Plug-Ins — including offerings from Studer, Ampex, Manley, API, Fender, Neve, and more — Ultimate 5 is the most comprehensive software bundle offered by UA. 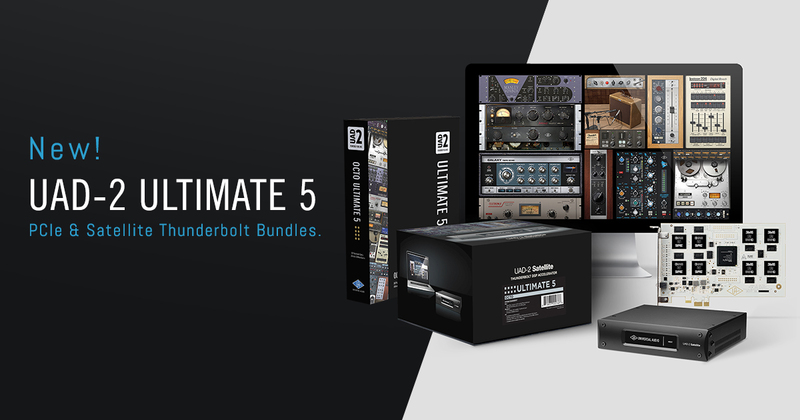 UAD-2 Satellite Thunderbolt OCTO Ultimate 5 - Includes UAD-2 Satellite Thunderbolt OCTO DSP Accelerator desktop hardware plus the new Ultimate 5 software bundle. UAD-2 Satellite USB OCTO Ultimate 5 - Includes UAD-2 Satellite USB OCTO DSP Accelerator desktop hardware plus the new Ultimate 5 software bundle. UAD-2 OCTO Ultimate 5 - Includes UAD-2 OCTO PCIe DSP Accelerator Card plus the Ultimate 5 software bundle.